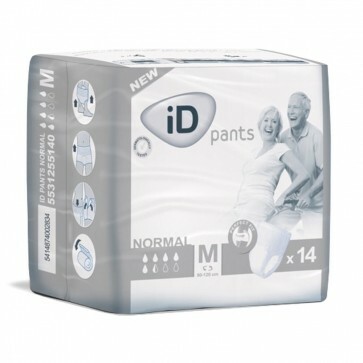 ID Pants Normal are comfortable pull up briefs designed for managing moderate incontinence. 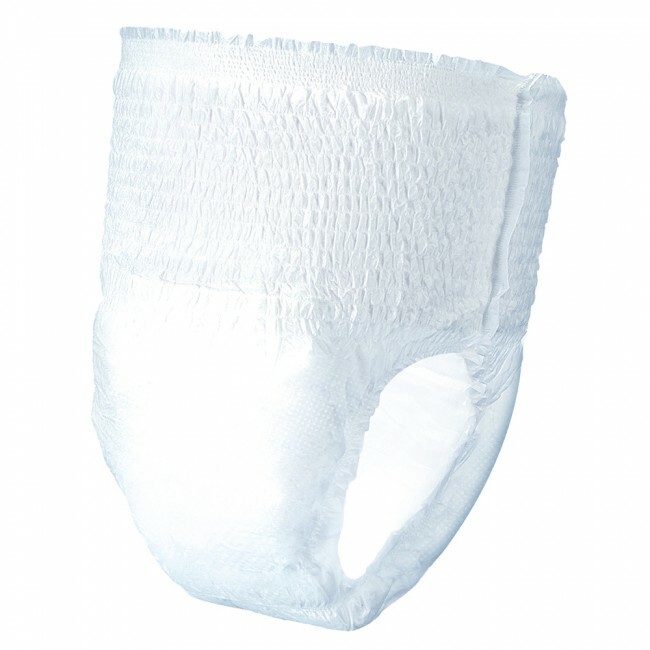 The pants are easy and convenient to use and can conveniently be worn and taken off like regular underwear. The product offers a perfect combination of comfort and discretion due to the elasticated waist and soft cotton feel backsheet. Fast absorption and anti-leakage protection cuffs in the pants help to prevent side leakage and ensure you stay dry throughout the day. A special odour control system is included in the briefs in order to prevent the formation of ammonia and any unpleasant odours. Anti-leakage protection cuffs in the product provide extra security and protection against any leaks that may occur throughout the day. iD Pants Normal are latex free and have been dermatologically tested to ensure your skin does not become irritated or damaged during use.